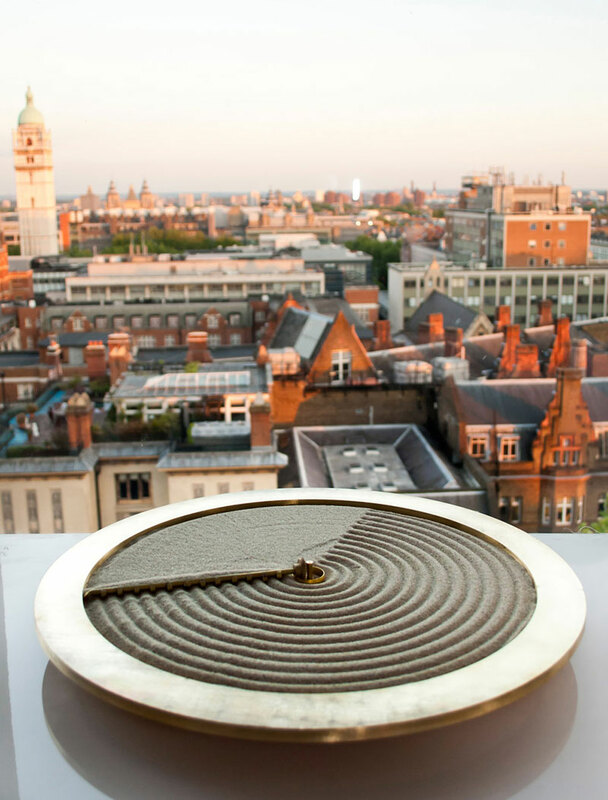 Mesmerizing sand clock by Studio Ayaskan based in London. 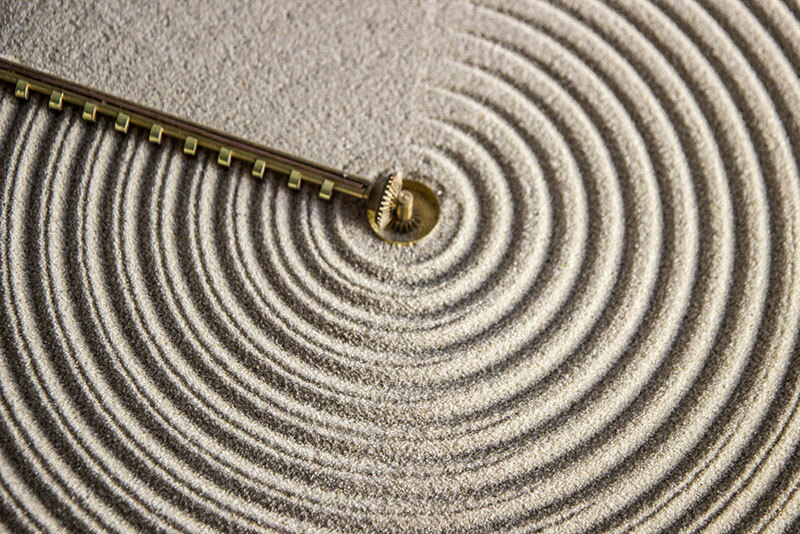 The clock was inspired by Zen gardens through the formation of concentric circles on the sandy surface as the clock's single hand slowly moves around over the course of an hour, while the next hour is spent smoothing the surface. Within a spacetime continuum, time is perceived as the fourth dimension. The past the present and the future is a whole. Ripples of Time, allow natural materials to be shaped by time, reminding us of its presence. 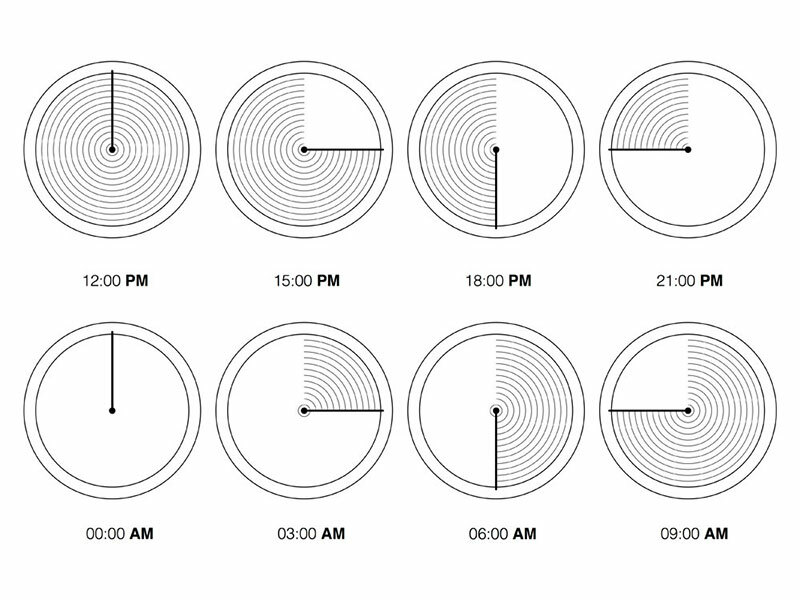 The installation consists of two complimentary clocks; Sand and Water. Sand, inspired by Zen Gardens, is the gradual formation and flattening of a ripple pattern over a period of twelve hour cycles. Water, on the other hand, tells the ephemeral time through concentric circles in the form of endless waves that ripple by the second. It is the landscapes and the cycles found in nature, that both the projects represents. 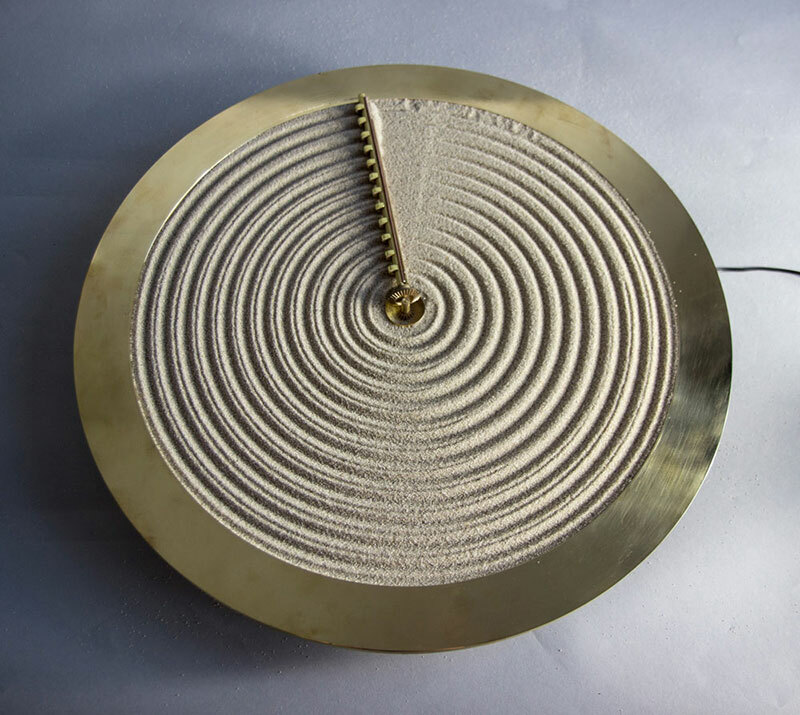 Mesmerizing sand clock by Studio Ayaskan based in London.